K-9 Piper is one of just a handful of wildlife control dogs on staff at U.S. airports. We spoke to his owner and handler Brian Edwards about their work at Cherry Capital Airport in Northern Michigan. 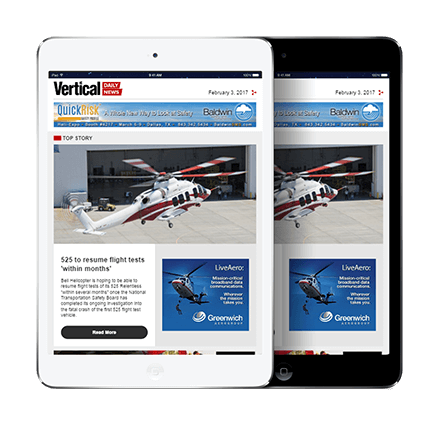 Vertical 911: How did you and Piper get started? Brian Edwards: I’ve been working at the airport since ’08. My title is airport operations supervisor; I’m one of six. We’re a small commercial airport, so we do it all. That could be plowing the runways and taxiways, mowing in the summertime, building maintenance… you name it, we pretty much do it. Part of that is wildlife control. And really what it boils down to is that I added my personal dog to help me with that small portion of my job. 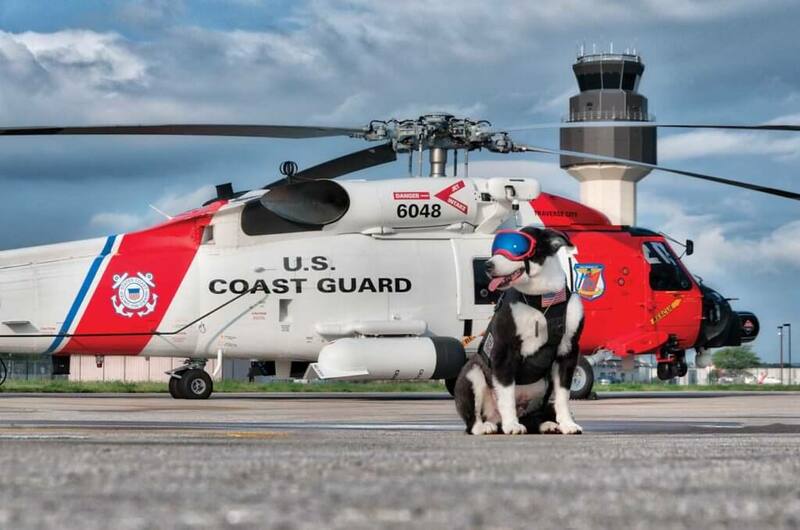 I had read about the use of border collies at the Fort Myers Airport in Florida, so that was always in the back of my head. When I got Piper a few years back, first of all I just wanted to be selfish and somehow figure out a way I could bring him to work with me, and this happened to be the avenue to give it a shot. So after I got him, we started training, and the rest is history. 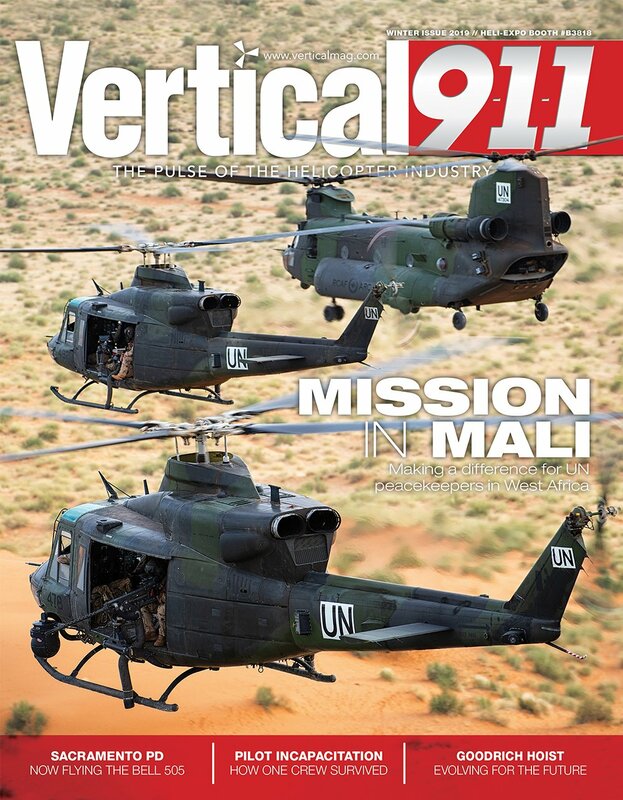 V911: Can you tell me a bit about the training process and what’s involved with that? BE: Piper’s my first dog. I’ve never had a dog before; I’m not a dog trainer by trade. So like a lot of people do these days, I watched YouTube videos and read as much as I could. We mostly worked on off-leash obedience work. At that time, when he and I were training, I was running a lot of obstacle races and endurance races, and he was my training partner for that stuff. And once I made the decision to try to bring him to work with me, then we started doing obedience work while we were out training for those races. This was all in our free time. I hadn’t talked to my boss about it at that point, because he likes ideas that are fully fleshed out by the time that you bring them to him. It took about a year-and-a-half to get to the point where I thought, well, I really can’t go any farther outside of the airport environment. After we got to that point, then I asked my boss and he said, “Yeah, let’s give it a shot.” We brought Piper to work in August of ’14, and that was for just a month trial run, to see if he was going to be good around the planes and the different noises and the things that happen there. 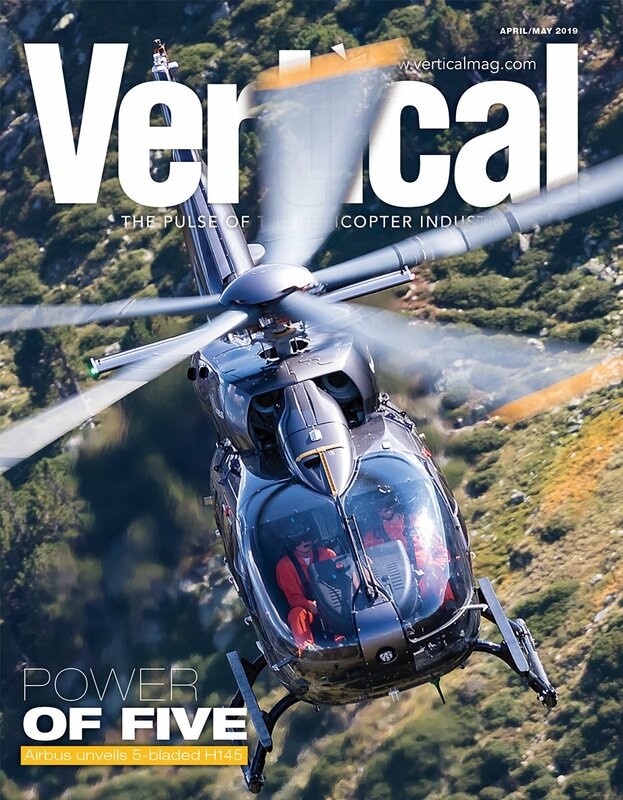 V911: Did he take pretty naturally to working around aircraft? BE: To jets and prop planes yes, that was never really a bother to him. I’m just hypothesizing here, but my guess is that’s because planes have more of a smooth sound signature. Helicopters thump, and especially if they’re larger, they thump more, and that took longer to get used to. He was not a fan of our Coast Guard helicopters at first. But just by positive reinforcement and showing him that there’s nothing to be afraid of, we got past that. We get military visitors semi-regularly in the summer; they’ll come over here and shoot different approaches on the runways and get fuel and whatnot. We would see [UH-60s] and [CH-47s]. Those thump a lot more, and those took more time. He eventually got used to the 60, and then the 47 was the last to come, because he sees those the least and they’re the most thumpy. So helicopters on a whole definitely had to take more socialization training, but now it’s not a big deal. 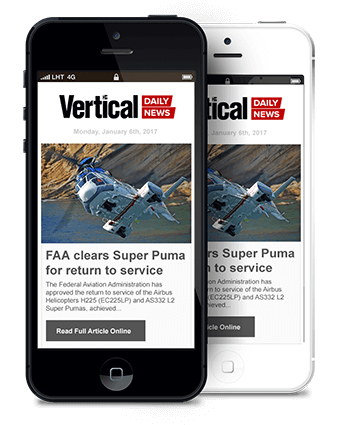 V911: What is a typical day at work for Piper? BE: I have to fit Piper into my responsibilities. Right now we’re working the morning shift, which is 4 a.m. to 2:30 p.m. on a rotating day schedule. So when we get to work, I’ll read through emails from the previous day, and then we’ll go out on patrol, typically until 7 o’clock. I’ve got to go do my duties by checking the airfield, making sure everything’s up to snuff before our commercial departures for the morning. And so while I’m out checking the runways and taxiways and doing a perimeter check, we’ll be doing patrol work with Piper. What we’re looking at night for typically is fox and deer. It’s usually a daily cat-and-mouse game with the fox, we’ve just got to find him — we’ll launch Piper out to go chase him, he loves doing that stuff. After 7 o’clock we’ll come in, get some breakfast. And after that, it really just depends on how much that phone rings. If we were to have a pilot fly in and [see wildlife] on the runway, or on the approach, they’ll relay that to the control tower, which will then call that phone I carry around and say, “Hey, we’ve got this that and the other thing out there.” Obviously that’s a life safety issue, so that takes priority over most everything. So Piper and I will go load up in the truck and respond to it and take care of it. The other part of what we try to do during the day is be proactive. That’s when we’ll be driving around the taxiways, and he’ll be out running next to the truck. Piper’s not necessarily looking for birds when we go into that type of mode; he’s sniffing out stuff in the ground. We’re talking moles, voles, ground squirrels, gophers, you name it. If he finds them, he’ll try to dig them up, and the whole point of doing that is getting rid of the food source for the larger things, like foxes and hawks. We don’t care if a plane hits a mole, because that’s really not going to cause any damage, but if it hits a fox that’s hunting the mole, or a hawk that’s circling to hunt that thing, then we have a problem. If I have to be taking care of other stuff, then we can’t be out doing as much proactive work. If I know that I have to go someplace for a meeting, then I’ll just leave him in our maintenance building and our maintenance guys will kick him the ball and it will be a good time for him to catch a little catnap in between going out and working. V911: I think you’ve described him as “chief morale officer” at the airport. I imagine he’s pretty popular around there? BE: Yeah, definitely. I just wanted to bring my dog to work with me every day, and we found something that obviously is not a gimmick, that we can make a difference in. But there’s so many other things that have spawned because of bringing him to work, and that’s definitely one of them. In our maintenance building there’s six supervisors, and 12 maintenance employees, so we’re a really small shop. He’ll be at the door — we have a long sidewalk coming up to our front door, it’s glass, so he can see through there — he’ll sit there and whine and wag his tail when he recognizes who’s coming to the door. And not everyone’s a dog person; we definitely have a couple of guys who I don’t think would have a dog at home. But since Pipe is really well behaved and doesn’t bother everybody they’ll still pet him and say, “Hi, Piper.” He’s one of the guys. It’s been a lot of fun to have him accepted as another employee at the airport. 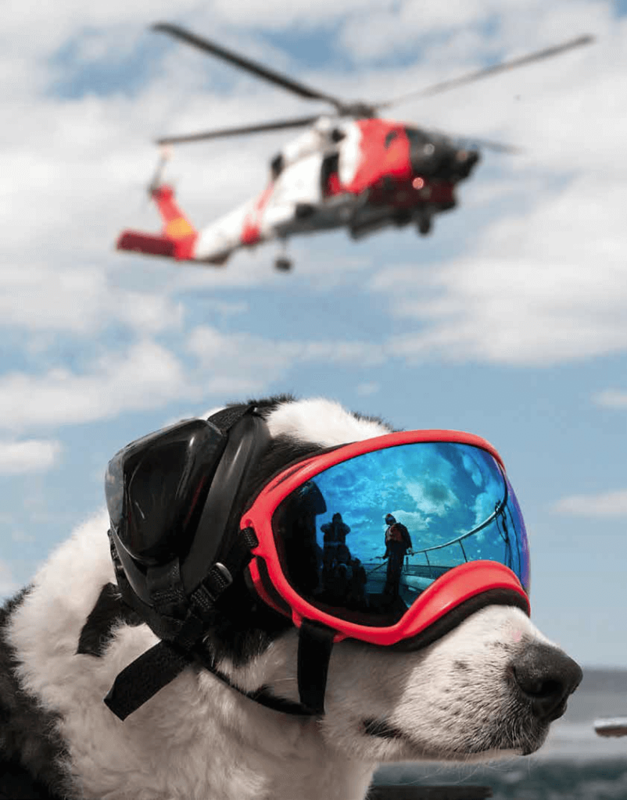 V911: It seems like you have a great relationship with the Coast Guard Air Station, too? 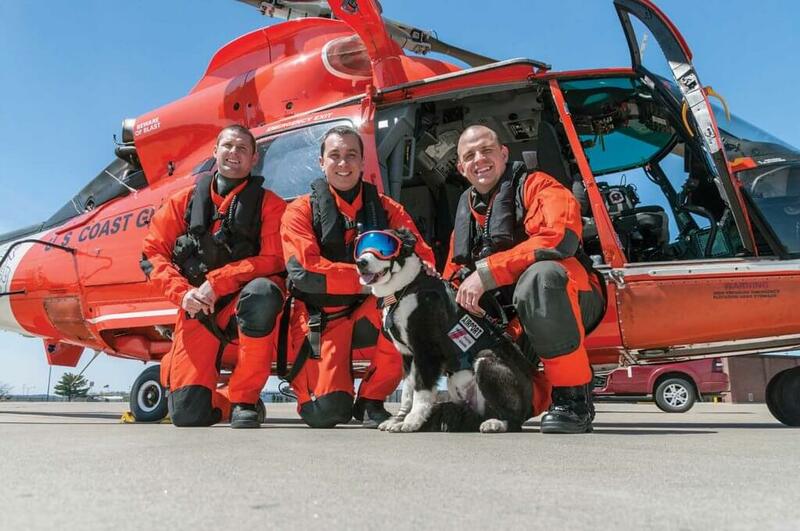 BE: The Coast Guard has been so supportive of us. Anytime I’ve asked for help or a favor they’ve been there to help us out, and we’ve just been very, very fortunate to have a great relationship with them. They have a boat that they contract with out on our bays to do hoisting practicing, and any time we want we can go out on the boat with them, and we’ll do that a couple times a year just to keep Piper used to the noise and everything, and a different type of noise. First of all he’s on a boat, so he’s all suited up in all his gear, and the boat is rocking; he’s getting sprayed with rotor wash and getting wet. The helicopter is above him, the basket is coming down, banging all over the deck. We do that just to make sure he can manage the stress, but we would have never had that opportunity if we hadn’t built such a great relationship with the Coast Guard. That’s just one example of how good they have been to us. I just can’t describe enough how they’ve helped us a lot along the way. V911: I really love what you do on social media and how you’ve built up that community. What is it like with Piper being famous? with really positive comments. One of the most rewarding things, as far as the social media goes, is to hear people on a regular basis say that they look forward to our posts because they’re positive in a not-so positive world right now. People love Piper, even though they’ll never meet him, they’ll never see him in person, they have no vested interest in him other than a couple of posts a week. That to me is just really incredible. Obviously I love Piper, so to be able to share him and our experience together and how we’ve grown throughout the past couple of years has been a lot of fun. V911: What advice would you have for other people who are interested in doing something like this at other airports? BE: I think it’s hard. The reason why there’s not a lot of dogs working at airports is because there are a lot of hoops you have to jump through. When you’re dealing with governments, usually the first question is money. 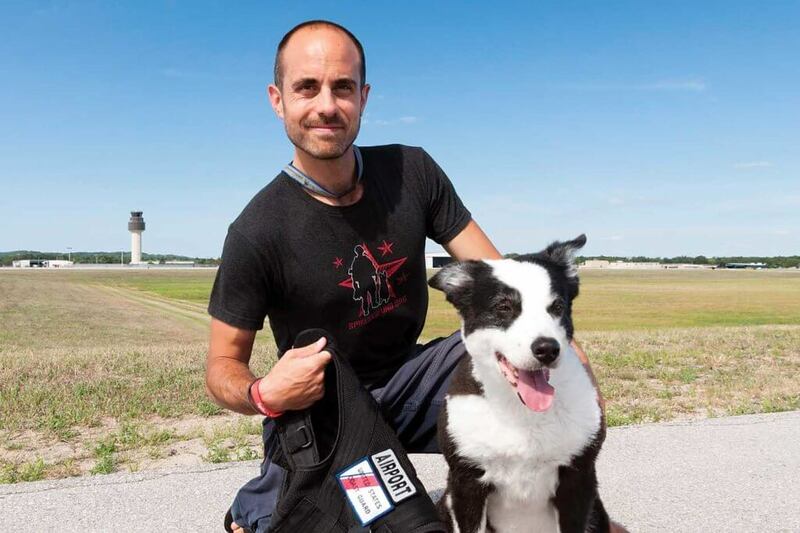 With us being a small airport, we’re never going to have the discretionary funding to purchase a dog that’s trained for this and have a yearly operating budget to continue it on, so the reason why Piper works at our airport is because he’s my dog, so it doesn’t cost the airport anything. If you are having to go before a board, a commission, it’s really hard to show a return on investment on this kind of stuff. I can’t say people are flying in because they feel safer because they’ve seen Piper on the job. The hordes of tourists aren’t flying in just to see Piper — it’s impossible to show a return on investment. In our case, what we had to get over is now you have an employee bringing in his own tool for a work function. Even though I don’t think of Piper as a wrench, in the eyes of liability and everything he is. So how to make me liable and to skirt liability away from the airport, that took, like, three months of lawyering to figure all of that out. There’s so many pieces that have to come together to make it work. If you’ve followed us online you’ve probably seen that I post almost all the time how lucky we are to be doing what we’re doing, because everything has to go right to make it work. Follow the Cherry Capital K-9 Team on Instagram and Facebook @airportk9. Piper on Facebook is an inspiration to us all on days there is no good news. I love his smiley face and the videos to see him run. What joy! There is good in the world after all. So glad his “dad” worked hard to get him accepted into the job. Thanks Piper!